The Measurement Shop is a leading UK supplier of high-quality precision measuring instruments at affordable prices. With over 30 years experience in the measurement industry, we truly believe that we can find the best product for your needs. We offer a vast catalogue of top-quality measuring instruments including weighing scales, transducers, magnifiers, refractometers, potentiometers and load cells. Our extensive range of Kern digital microscopes are fully customisable with coloured lens, stages, objectives and funnels. We pride ourselves in delivering some of the best measurement instruments worldwide from a range of big brand manufacturers including Adam Equipment, A&D, Zemic, Kern, Sauter and Reed Instruments. Our ultimate guide to load cells. Learn answers to popular load cell questions including, what is a load cell? How do load cells work? 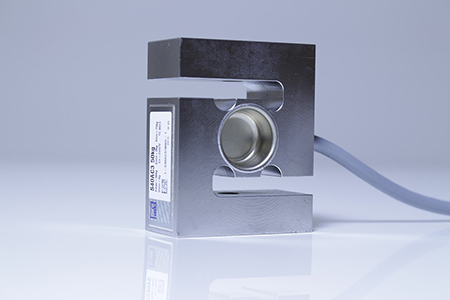 What types of load cell exist? As well as a series of top tips on how to care for, clean and calibrate your load cell to ensure optimum weighing performance. So why Choose the Measurement Shop? The products we sell are highly versatile and fantastic value for money, specifically designed for industrial, laboratory and quality control facilities. We offer quick delivery on most items in stock. The Measurement Shop is the only supplier of Reed products in the UK; we stock a vast selection of thermal measurement products including infrared and stem thermometers, moisture meters, heat stress meters, thermo-hygrometers and psychrometers. Alongside Reed's thermal product range, we also offer a selection of environmental safety products such as gas and radiation detectors, light meters and environmental meters, as well as a series of Reed electrical clamp meters, electrical testers and multimeters well known in the USA and Canada for their superior quality and high measurement standard. If you cannot find the right product in our online shop, or if you would like us to recommend a product for your application, then please use the contact form or call us on +44 (0)1908 972 660.